Mulch is a must-have in the garden. 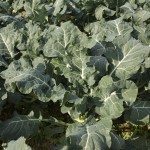 It conserves soil moisture by preventing evaporation, acts as an insulator that keeps soil warm in winter and cool in summer, keeps weeds in check, minimizes erosion and prevents soil from becoming hard and compacted. Natural material, such as ground corn cobs, is preferred by many gardeners for its ability to improve soil structure and aeration. 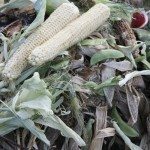 Although corn cob mulch isn’t as common as bark chips, chopped leaves or pine needles, mulching with corn cobs provides many benefits and a couple of drawbacks. Read on for information about using corn cobs as mulch. Ground corn cobs are highly resistant to compaction, so the mulch remains loose even if your garden gets plenty of foot traffic. 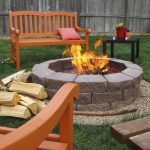 Corn cob mulch is fire-resistant, unlike bark mulch that is highly combustible and should never be placed near structures. Additionally, corn cob mulching is heavy enough that it isn’t easily dislodged in strong winds. 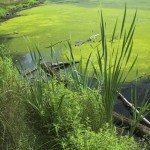 Corn cob mulch isn’t always readily available because cobs are often used in livestock feed. If you have a source for ground corn cobs, however, the price tends to be quite reasonable. One of the main drawbacks of using this mulch is the appearance, which is light-colored and doesn’t enhance the landscape like bark mulch, although ground corn cobs become darker in color as they age. This may or may not be a factor in your decision to use ground corn cobs in gardens. Lastly, if you decide to use corn cob mulch, be sure the mulch is free of weed seeds. As a general rule, using ground corn cobs in gardens is no different from using any type of mulch. 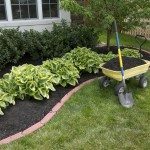 Apply mulch after the soil has warmed in spring and again in autumn. If soil freezing and thawing is an issue in your climate, wait and apply the mulch after the first frost. Don’t apply mulch against tree trunks, as it promotes moisture that may invite pests and disease. Leave a 4- to 6-inch ring of bare soil directly around the trunk. While corn cob mulch is suitable for any location in your garden, its coarse texture makes it especially useful for the soil around young evergreen trees and shrubs. A 2- to 4-inch layer of corn cobs will prevent the soil from becoming too dry during the winter.